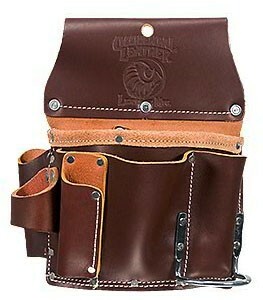 Large style all leather pouch. Suitable for both lathers and drywall pros. Exceptional tool organization and durability. Holders for circle cutter, metal snips, saw, knife, Surform, pencils.